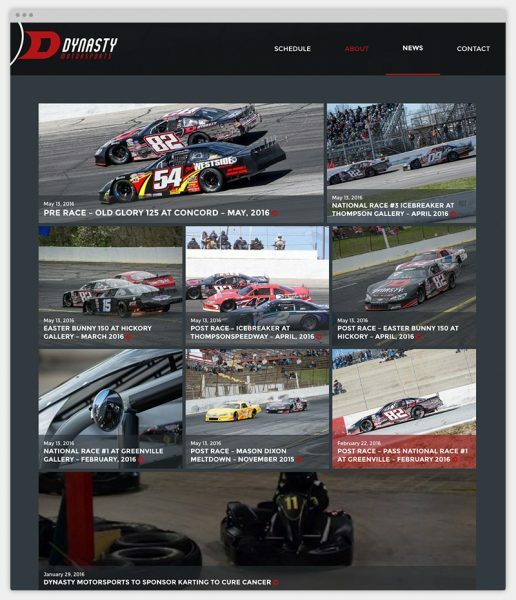 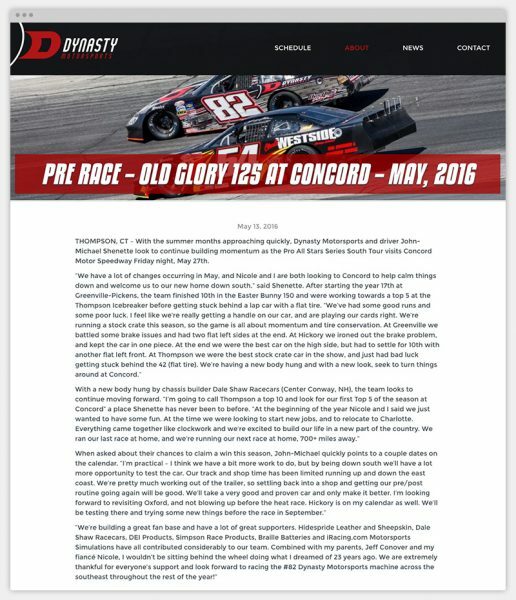 Dynasty Motorsports is a fast-growing racing team headquartered in Concord North Carolina. 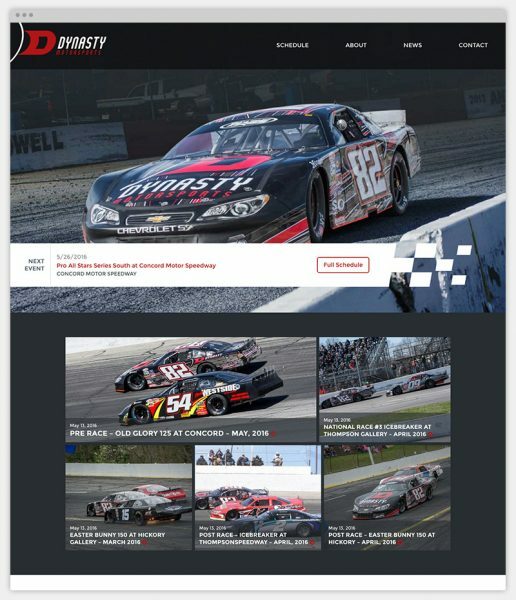 Driver and Team Owner John-Michael Shenette has been moving up the ranks of Circle Track racing for years, and the jump into the Super Late Model car proves that the team is building to grow. 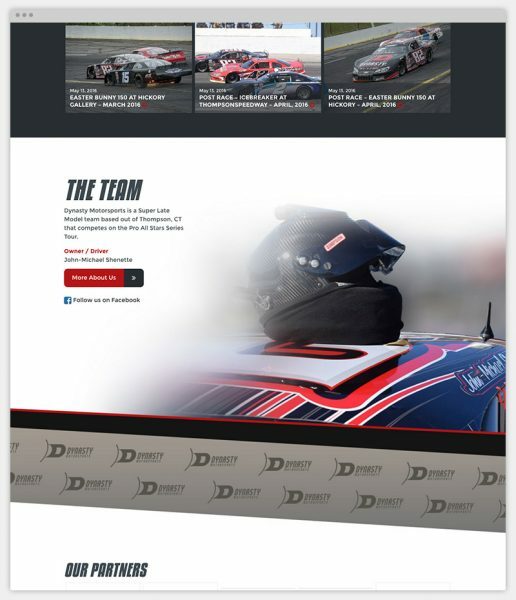 With this exciting news, the team needed a website for fans, sponsors, and others to be able to keep track of news and scheduling.